Brea’s Hotel invites you to enjoy a delightful getaway to the modernist city of Reus. With a fantastic location, just 10 minutes by car from the best beaches in Costa Daurada, Port Aventura and Tarragona, this accommodation emerges as an ideal option for business trips as well as family holidays and breaks with your partner or friends. This hotel in Reus, Tarragona has been designed to guarantee you the highest level of comfort throughout your stay. Our hotel features comfortable rooms, parking, free Wi-Fi, meeting rooms, room service and the Masia Crusells restaurant, well known throughout the region. Discover the beauty of this city where the father of modernism himself, Antoni Gaudí, was born and book your stay at the official website of Brea’s Hotel at the best price online. The 50 rooms at Brea’s Hotel have been designed to offer you the perfect stay in a comfortable atmosphere during your holiday or business trip. Choose between three types of room that are completely adapted to meet your requirements. Relax in our modern accommodation in Reus where you can enjoy an unforgettable experience of entertainment and total comfort. The standard double room at Brea’s Hotel are comfortable and practical spaces perfect for unwinding during your business trip. With 30m2 of space, these rooms feature two single beds, television, safety deposit box, desk, private bathroom and room service from 20:00 until 22:30. The family rooms at Brea’s Hotel are the ideal choice for families and groups of friends that wish to stay together in a private setting. This accommodation is divided into two separate rooms and a living area with a television, safety deposit box, desk, bathroom and room service. Stay in a charming and exclusive room with the suites at Brea’s Hotel. Designed to provide an extra special touch to your romantic getaway or holiday, these suites boast a spacious bedroom, living room and bathroom with a separate jacuzzi and shower as well as a television, safety deposit box, desk and room service. The Brea’s Hotel photo gallery lets you browse through all of the facilities at our accommodation including the rooms, restaurant, lobby and surroundings. You can find everything that you could ever need to know about us, with the best information only at the Brea’s Hotel official website so you can make your reservation with total confidence. 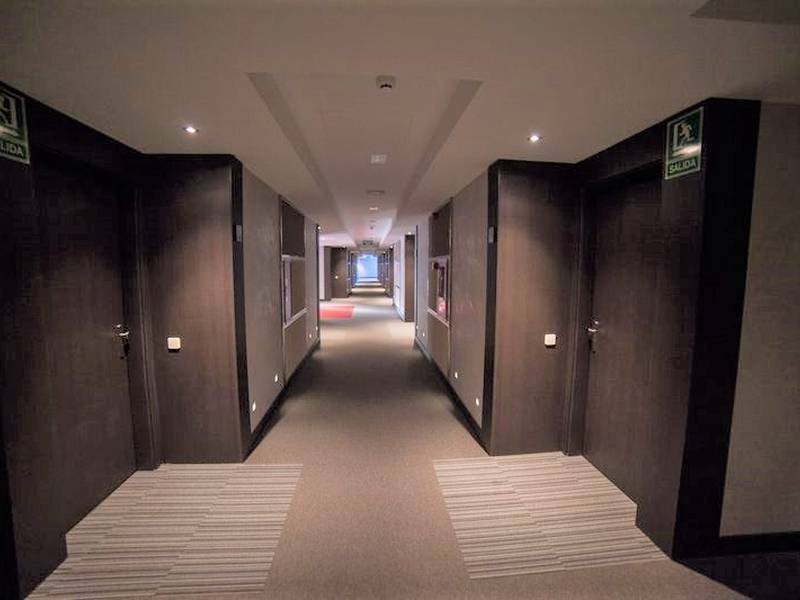 The Brea’s Hotel offers and promotions have been especially designed so that you can treat yourself to an escape to the Tarragona region of Spain at the best price online guaranteed. If you are looking for deals on hotels in Reus, then take a look at Brea’s Hotel official website. Here you can enjoy an extremely comfortable stay at an exclusive rate. Thanks to the Brea’s Hotel services you can relax in a peaceful atmosphere during your holiday or business trip. We provide three types of room which are totally equipped to guarantee that you enjoy a high quality break close to the region’s main attractions. At the Maria Crusells restaurant, known throughout Tarragona and Reus, you can enjoy an array of carefully prepared dishes. 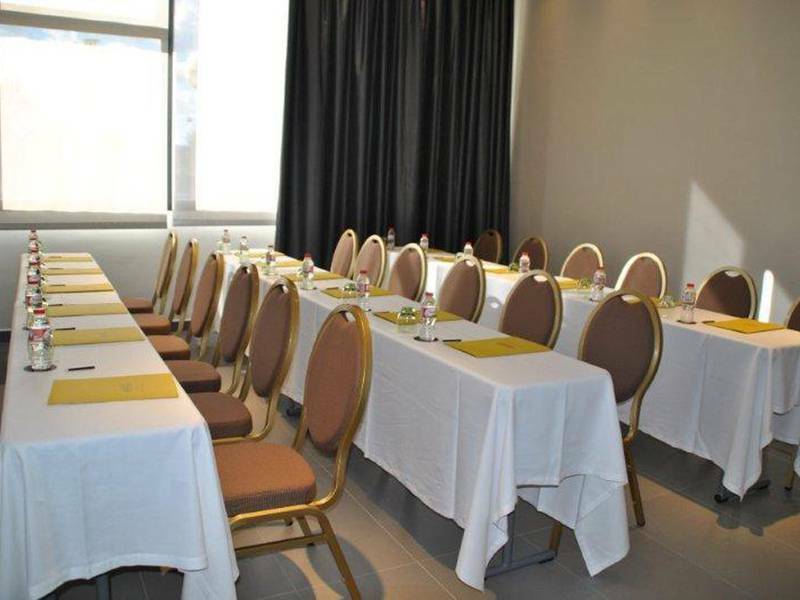 You can also find exclusive event rooms, a 24-hour reception, luggage storage area, children’s play area, bar, cafeteria, room service (between 20:00 and 22:30), free Wi-Fi, massages ($) and a pet admission service. Make the most of the comfort and entertainment during your stay. Brea’s hotel is located on Calle Estanislau Mateu Valls, 2 in Reus. The history of this city starts with the birth of renowned architect Antoni Gaudí, iconic due to his excellent work with modernism in Catalonia. The Ruta Modernista (modernist route) is one of the city’s main attractions, passing by commemorative buildings, squares and monuments. Reus is also famous for the production of vermouth, emerging as one of the ideal places to the indulge on this aperitif. The hotel can be found just 10 minutes by car from the Salou, Cambrils and La Pineda beaches and the Port Aventura and Tarragona theme parks. Reus airport is located just 5 minutes by car away and you can reach Barcelona within an hour of our accommodation. Carrer d'Estanislau Mateu i Valls, 2, 43204 Reus, Tarragona, España. Here you can find available the Brea’s Hotel contact details. We can resolve any doubts you have via telephone, email, post or through the online form you will find below. Only at the official website of Brea’s Hotel are you guaranteed the very best personalised assistance for all of your requirements. Cookies are files that are installed on the user’s web browser or devices (smartphone or tablet) as you browse the website pages and are used to store information about your visit. •Make sure that web pages work properly. •Store your preferences, like language or font size. •Find out about the user’s browsing experience. •Compile anonymous statistical information, like which pages the user has visited or how long they have spent on the website. Using cookies helps optimise browsing, adapting the information and service offered to the user in order to provide a better experience each time they visit the website. Depending on their permanence, Cookies can be divided into two categories: session cookies and persistent cookies. The former expire when the user closes the browser. Whereas the latter expire when the their aim is achieved or when they are deleted manually. Keep the user identified so that if they close the website, the browser or device and then come back to the same website at another time, they will remain identified, thus enabling them to browse without having to identify themselves again. Check if the user is authorised to access certain services or areas of the website. •Performance cookies: They are used to improve the browsing experience and optimise the functioning of the website, for example, to store service settings or store a purchase in a shopping cart. Anonymous cookies: They only collect information on the advertising spaces displayed on the website, regardless of the user accessing the website, i.e., without identifying them explicitly. Personalised cookies: They collect personal information from the website user on behalf of a third party, in order to customise these advertising spaces. •Geolocation cookies: These cookies are used to find out what country or region the user is in when accessing a website service in order to provide content or services appropriate to your location. •Analytical: They collect information on the user’s browsing experience on the website. It is usually anonymous, although on occasions it can also be used to uniquely and unmistakeably identify the user in order to obtain reports on the user’s interest in the services offered by the website. •Level 1: Cookies strictly necessary for the provision of the service requested by the user. •Level 2: Performance cookies (anonymous) required for content and browsing maintenance. You are only informed of their existence. •Level 3: Cookies managed by third parties allowing the user to be tracked through other websites that are not the owners of that website. They generally correspond to advertising or analytical cookies which identify the user in a unique and obvious way. MASIA CRUSELLS DE HERMANOS MIGUEL BREA, S.L., [hereafter BREA’S HOTEL], is the owner of the web page breashotel.es, and will act exclusively as the manager of the contents of the present Web, addressed at: Av. Tarragona, Km. 1 – 43204 REUS, NIF B43225220, Mercantile Register in Tarragona Book 647, Section 151, Page 1082, Inscription 1ª, is responsible for the management and functioning of the Web previously mentioned. If you would like to contact us, you can do so by post at the previously mentioned address, or by e-mail at: reservas@breashotel.es. If you use the web you are considered a user and this implies full acceptance without any reservation of every and each point in this Legal Notice, published by BREA’S HOTEL, from the moment the user accesses the web. In consequence, the user must read carefully the present Legal Notice every time he or she wishes to use the Web, as these may be modified. BREA’S HOTEL, is only responsible for its own web and any access to webs by links or any information offered by third parties is not the responsibility of BREA’S HOTEL. Any use of links or access to a web not owned by BREA’S HOTEL is at the users responsibility and BREA’S HOTEL does not recommend nor guarantee any information obtained by a link through a third party which comes from a web that is not from breashotel.es, neither is it responsible for any loss, claims or damages derived from the use or bad use of a link or the information obtained through it, including other links or webs, interruption of service or in the access, or trying to use or the incorrect use of a link, even if the connection is via the Web breashotel.es or by accessing the information by other webs from the same Web page. The information and the services included or availability by the Web could include errors or spelling mistakes. Periodically changes in the contents will be made. BREA’S HOTEL, can introduce improvements and or changes in its service or contents at any time. BREA’S HOTEL, is not responsible if there are interruptions or if the services and contents offered on the internet do not work adequately, regardless of the cause. Likewise, BREA’S HOTEL is not responsible for, the internet going down, loss of business due to these failures and temporary electricity power cuts or any other types of cuts. BREA’S HOTEL, does not declare nor guarantee that the services or contents will not be interrupted or free of errors, and that they will be repaired, or that the service or the provider will be free of viruses or any other damaging component, whilst BREA’S HOTEL, will do its utmost to avoid these types of incidences. If the user takes some decisions or carries out actions based on information included on any “websites”, it is recommendable to check the information by consulting other sources. 1. The structure, design and way of presenting the elements (graphs, images, files, logotypes, colour combinations and any element susceptible to protection) are protected by intellectual property laws, owned by BREA’S HOTEL. 2. It is prohibited to reproduce, transform, distribute, communicate in public, make publicly available and in generally exploit in any form partially or totally the elements referred to in the previous section. These acts of exploitation can only be carried out if authorised by BREA’S HOTEL, and if this were to be the case, there must be explicit reference to the fact that BREA’S HOTEL is the intellectual owner of the material. 3. Only documental material produced by BREA’S HOTEL is authorised for private use, and in no case, can the material be deleted, changed, eluded or any of the security systems installed be manipulated. 5. Distinctive signs (brands, commercial names) belonging to BREA’S HOTEL, are protected by industrial property rights and the use or manipulation of them is forbidden except if there is written authorization by BREA’S HOTEL. BREA’S HOTEL will never send you an e-mail and neither call you by telephone to ask you for your password or to verify your password belonging to your account and likewise will never ask for your bank account number or credit card and neither any other personal information. If anybody should contact you or send you and e-mail that you have not asked for, you should never give them any of your personal data previously mentioned. Also you should never respond and communicate to the appropriate authorities in order to proceed with investigating the incident. Ignore all e-mails in which they demand personal information or ones which redirect you to another web page that does not belong to or any societies belonging to the group or in which they ask you to pay via a means which has not being authorised by BREA’S HOTEL, as this could be an attempt at identity theft (“spoofing or phishing”) and must be considered as fraudulent. BREA’S HOTEL uses the “breashotel.es” domain for all its e-mails. If you receive an e-mail in a different format, for example: security. e-mail, you can be assured that it is a false mail. Some e-mails that use phishing contain links to a web page that uses the word “breashotel” at their URL, but they will direct you to a web page that is completely different. If you drag your mouse over the link, you will be able to see the associated URL, which will probably have a different format to the correct web pages authorised by breashotel.es. Send an e-mail to reservas@breashotel.es and attach any e-mail that you consider to be false. By attaching these e-mails, you will be helping to locate their origin. If you cannot attach the false mail, forward it to reservas@breashotel.es and include as much information as possible about it. ALWAYS MAKE YOUR PAYMENTS VIA PAYMENT METHODS GIVEN BY breashotel.es. Any payments made via methods authorised by BREA’S HOTEL, are safe and guaranteed. "The European Commission provides a platform for online dispute resolution which is available at the following link: http://ec.europa.eu/consumers/odr/. According to the data protection act of Regulation (EU) 2016/679 of 27 April 2016, we inform you that personal data given via the forms, and likewise your e-mail address have been included in our file titled MASIA CRUSELLS DE HERMANOS MIGUEL BREA, S.L. [hereafter, BREA’S HOTEL], at the business address of: Av. Tarragona, Km. 1 – 43204 REUS, NIF B43225220, Mercantile Register in Tarragona Book 647, Section 151, Page 1082, Inscription 1ª, is responsible for the management and functioning of the Web previously mentioned. 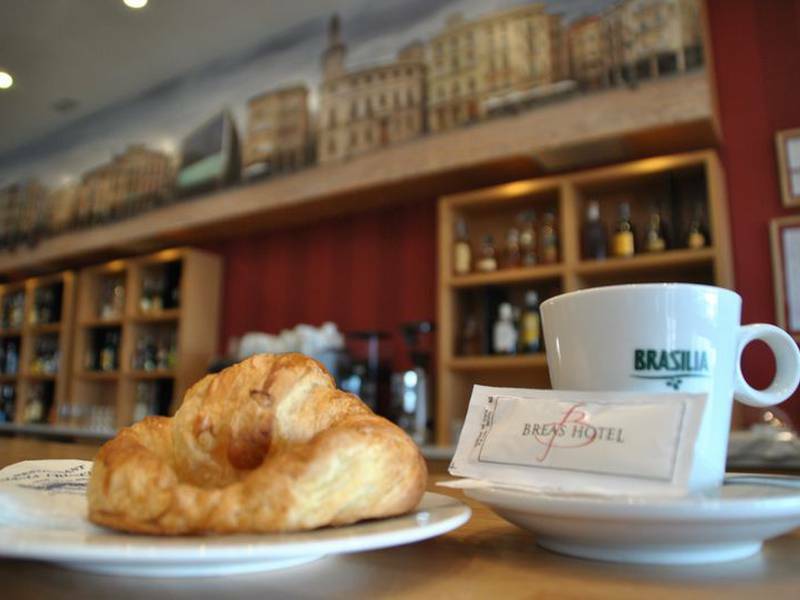 E-mail reservas@breashotel.es, with the objective of attending your consultations and sending you information related to the services offered by BREA’S HOTEL. We inform you that the data could be used to send you commercial communications, in any format, and this could be related to any other services offered by our business which might be of interest to you. If you should at any time oppose this type of communications, please send us an e-mail address to reservas@breashotel.es indicating the subject as “UNSUBSCRIBE FROM THE DISTRIBUTION LIST”. Likewise, you can exercise the right to access, rectify, cancel, opposition, portability and where appropriate limitation, according to the terms established by REGULATION (EU) 2016/679 by presenting or sending an application in writing to: Av. Tarragona, Km. 1 – 43204 REUS, or by e-mail to: reservas@breashotel.es and with a photocopy of your ID or similar documentation indicating the subject as “DATA PROTECTION”. Therefore, in compliance with the Regulation (UE) 2016/679, by means of the present document BREA’S HOTEL. BREA’S HOTEL at the business address: Av. Tarragona, Km. 1 – 43204 REUS, is owner of various treatments. a. For the treatment [WEB USERS / NEWSLETTER], offers the information demanded by the interested parties via a form or questionnaire on the web page breashotel.es. c. Send you information about our products or services offered on the website breashotel.es. However, you can at any moment reject this type of service by sending an e-mail to reservas@breashotel.es indicating the subject as “UNSUBSCRIBE FROM THE DISTRIBUTION LIST”. The title holders of the data contained in the treatment [WEB USERS / NEWSLETTER] as well as the holders of the data contained in any of the files held by, BREA’S HOTEL, can contact the entity, as the person responsible for the file, with the objective of being allowed to exercise their right of access, rectification, cancellation, opposition, portability and where appropriate limitation, with respect to the data incorporated in the treatment. - sending an email to: reservas@breashotel.es. BREA’S HOTEL will proceed to notify its decisions within a timeframe of a month. If it were to be accepted, the interested party would be able to access the previously mentioned information within 10 days after its notification. BREA’S HOTEL will proceed with the rectification or cancellation within 10 days of receiving the application. BREA’S HOTEL reserves the right to modify the present policy with the objective of adapting it to the legislative or precedents changes, as well as those that could be derived from the “Code Type” existing in the material. Such changes will be communicated within the necessary time on our Web page, and it can ask the affected parties for their consent if it is believed that it does not have the consent according to the present policy. If you should have any doubt, question or comments referring to the present regulations, please do not hesitate to ask about them by sending a communication to: reservas@breashotel.es.